If You're Stressed About Politics, Join the Club! Have you found yourself more stressed than usual by politics and the state of the nation lately? Do you worry about the direction that the country is taking, perhaps more now than before? Do you feel this is taking a toll on your emotional state, and even your physical health? If so, you're not alone. Far from it, actually. And a survey from the American Psychological Association proves it. And if you're not feeling this way, chances are that the majority of the people around you are feeling this type of stress. First, here's a bit about conflict and stress in general, for a more foundational understanding of what you or the people around you are experiencing. Political conflicts can be particularly stressful because political views can be so divisive, and these disagreements can occur not only between acquaintances but between close friends and especially family members, which is when things can become even more tense. Many people don't like to "agree to disagree" but would rather try to convince people with opposing views that their views are "incorrect," which can backfire particularly when political views are discussed. Social media and online discussions can and do contribute to the incivility and polarization of some of these political discussions. Additionally, there are so many changes occurring in the country that it can be particularly stressful for those who are concerned about the direction things are taking. This can also bring more potentially divisive discussions to the fore. The bottom line is that political uncertainty can breed stress and create challenges, regardless of what your specific beliefs are or for which party you vote during elections. And many Americans (and, most likely, people around the world) are experiencing stress and anxiety related to the recent transition of power and the rapid speed of change that's been occurring politically in America in recent months. Because of this, many people are concerned about the state of our nation and the direction that things are taking. The APA's study explains more about this. APA’s 2016 Stress in America™ survey revealed that two in three Americans (66 percent) say the future of our nation is a significant source of stress for them, and 57 percent say that they are stressed by the current political climate. This is, in fact, the factor that's reported as the most stressful to study respondents. This is an increase in what people have previously reported and a significant number that reveals a majority of Americans feeling stress in this area. Symptoms of stress can vary among people but often include a combination of emotional stress (feelings like worry, tension, irritability, and general anxiety) and physical symptoms, including headaches, insomnia, stomach problems, and other physical reactions. People deal with stress in many different ways. Some of these ways are healthy and proactive, like exercising and meditation, and some are unhealthy, like engaging in rumination or negative coping habits. 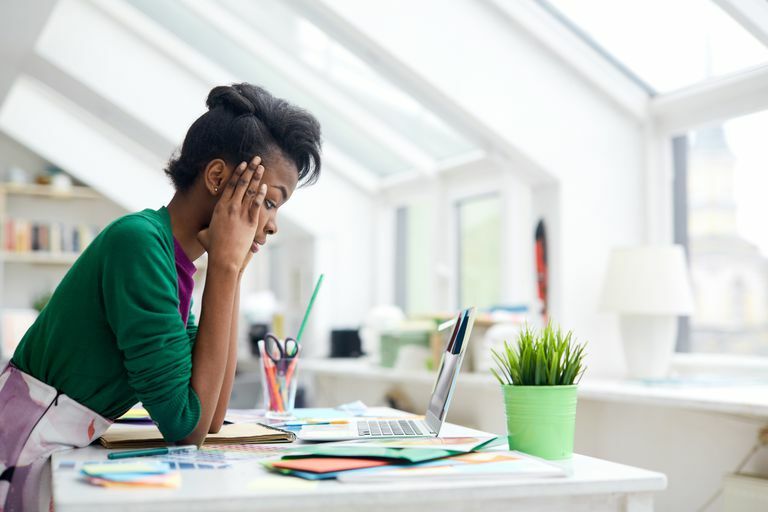 This stress can be good when managed; we know that low to moderate levels of stress can positively motivate us to complete a project or achieve a goal. A lot of stress, however, and particularly chronic stress, can negatively affect our emotional and physical health in many ways. High levels of stress have been associated with anxiety, depression, fatigue, heart disease and high blood pressure and other serious health issues. Knowing this can be stressful as well, but there are many techniques that can help with stress management in general, and be helpful for political stress in particular. This is important to know, because being proactive about stress management can make a difference in the direction that your stress takes, and help prevent a downward spiral of hopelessness that feeds upon itself. Fortunately, there are steps you can take to manage your stress in times of political change. Even when there aren't specific things you can do to change the minds of those in power, there are things you can do to minimize the stress you feel as a result. These steps can make the difference between feeling constantly stressed and feeling mildly or minimally stressed, or even not feeling stressed at all. Stay informed, but know your limits. Consider how much news you take in and how that information is affecting you. If you are preoccupied by national events and it is interfering with your daily life, this may be a sign to cut back on your news intake and limit social media discussions. For example, some people may find it helpful to schedule a short block of time in the morning and one in the evening to catch up on news without checking for every new update during the day. During “digital breaks,” take time to focus on something enjoyable, such as a hobby, exercising, or spending time with family and friends. Find commonalities with others. We come into contact with people every day whose beliefs differ from our own. If the topic of political differences arises, avoid heated discussions and try to identify commonalities within your different views. Sometimes different views can come from a similar underlying principle. Be open to hearing the other person’s story, and maybe even validate how they are feeling. When we frame our thinking this way, it can be easier to tolerate or understand people with different views and even, perhaps, work together toward a common goal. If you find it difficult to discuss political issues in a calm and constructive manner, it may be best to disengage from the conversation. Find meaningful ways to get involved in your community. Identify issues that are important to you, and research organizations that work on those issues. Contact them and see how you can join their efforts. You could also consider getting involved in local politics, where it can be possible to see the direct impact of your efforts. Attend a city council meeting or a town hall meeting to listen to and share your ideas with elected officials. Taking active steps to address your concerns can lessen feelings of stress. Seek solace. Faith-based organizations and other community organizations can provide vital emotional and spiritual support during stressful times. Engaging in soothing activities, such as meditation, progressive relaxation or mindfulness, can also help you connect to the present moment and find some peace. Take care of yourself. Because stress can have a physical and emotional impact on your overall health, find activities you enjoy to help you recharge and reduce your stress, such as exercising, listening to your favorite music or spending time with close family and friends. It’s important to prioritize getting enough sleep, eating healthy foods, and avoiding ineffective coping mechanisms such as alcohol and substances use. If stress starts interfering with your everyday routine for an extended period of time, or if you are unable to manage stress on your own, it might be time to see a psychologist or other licensed mental health professional. Psychologists are trained to understand the connection between the mind and body and can help you to identify problem areas and develop an action plan for changing them.